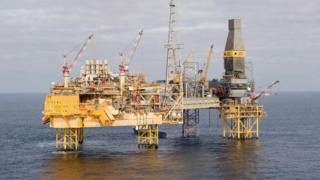 Contractors on three Total-owned North Sea platforms have announced new strike dates over proposed changes to shift patterns. The move comes after more than 200 oil workers voted for industrial action. Unite members on the Elgin-Franklin, North Alwyn and Dunbar platforms are already scheduled to strike on 11 and 27 March and then 12 April. The union has now said a further two 24-hour stoppages are planned for 19 March and 2 April. There will also be an overtime ban. The workers are employed by Aker and Petrofac, who want to move them to Total's preferred three weeks on, three off rota pattern, as well as changes to their terms and conditions. Unite said its members had been given redundancy notices in preparation of new contracts. Petrofac and Aker said they were issuing workers with updated contracts as part of a consultation on the revised rota pattern and improved terms and conditions.